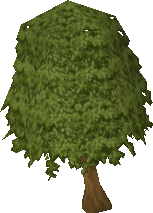 Woodcutting is a skill in RuneScape that requires players to cut down trees in order to obtain experience as well as logs. Along with it being one of the first skills since RuneScape Classic, woodcutting benefits both the player and other skills. Without it, skills such as Fletching or Firemaking would not be possible. 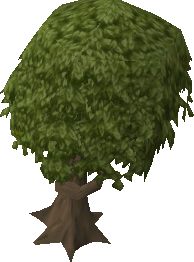 On Tutorial Island, you learn how to cut trees by clicking on a regular tree with a Bronze Axe in your inventory (or equipped). This yields a set of regular logs, which has various uses such as creating a fire or fletching a bow. The tree also disappears for a short while until it "respawns" or grows back. 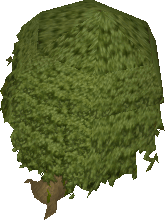 Once you start cutting trees such as oak and higher, you'll be able to swing more often and obtain more logs before the tree disappears. The higher your woodcutting level and the better your axe, the quicker you will obtain logs. There are nine different types of woodcutting hatchets, each with its own level requirements to use. The better the hatchet, the faster you will be able to chop down trees. The Inferno of Adze is a reward from the Activity All Fired Up. 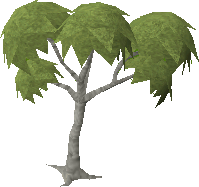 It requires 61 woodcutting, 92 firemaking and 41 mining to wield, and is the equivalent of a dragon woodcutting axe and a rune pick axe. The item can be used as a mining pick axe, as well as a woodcutting axe. When woodcutting, there will be a 25.6% chance of burning the next log you cut and receive Firemaking experience. 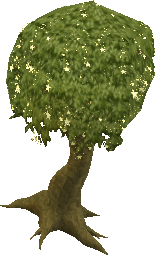 Throughout RuneScape there are 21 types of trees to be cut, with the exception of the Kharidian Cactus. 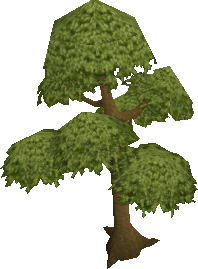 Rare trees (those which require 35+ Woodcutting) are marked with a ( ) icon on your in-game map to help you locate them. Dead 1 25 Draynor Manor, the Wilderness. Achey 1 25 Castle Wars, Feldip Hills. Used in the Big Chompy Bird Hunting Quest. Scrapey 1 25 Only found during Trouble Brewing. It's worth noting that unlike other level 1 trees, the Scrapey Tree has multiple logs. Willow 30 67.5 South of the Legend's Guild, Draynor Village, Rimmington, Lumbridge, around Seer's Village, Daemonheim Woodcutting Island. Teak 35 85 Tai Bwo Wannai, Mos Le' Harmless (through the Cave of Horrors), Ape Atoll, South-west of Castle Wars, Kharazi Jungle, Uzer. Maple 45 100 Seers' Village, Miscellania, around Rellekka, Daemonheim Woodcutting Island. Mahogany 50 125 Tai Bwo Wannai, Mos Le' Harmless (Through Cave of Horrors), Ape Atoll. Yew 60 175 South of Camelot, south of Falador, Edgeville, Seers' Village, behind Varrock Castle. Magic 75 250 Tree Gnome Stronghold, south of Seers' Village, near the Ranging Guild, in the Mage Training Arena, southwest of Lletya. Cursed Magic 82 275 The Spirit Realm. Requires the completion of the Spirit of Summer quest and is accessed through the village portal. 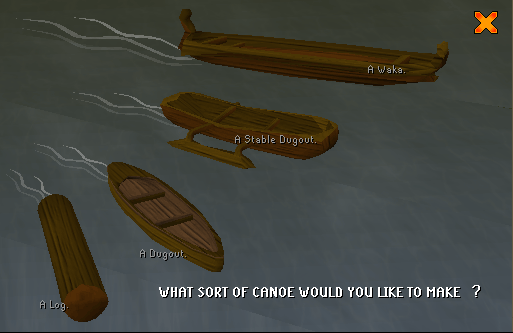 Canoes are yet another way to get from place to place in RuneScape, and they allow you to travel up and down the River Lum. There are currently four types of canoes players are able to make; the higher the level, the better. One of the destinations (the one in the wilderness) can lead to 30+ wild, so be careful when choosing! To travel by canoe, just visit any of the above four areas. Chop the Canoe Tree and choose the 'Shape Canoe' option. The better the canoe, the farther it will go. For more detailed information on canoes, please see the Canoe Guide. Lumberjack clothing, when worn, will give a woodcutting bonus: you will receive more experience per log than usual. The clothing is obtained during the Temple Trekking Activity and is rather hard to get. You will need 44 woodcutting to wear these clothes. While wearing this necklace, your chances of receiving a birds' nest are significantly increased. So if you're going for 99 woodcutting, this would be ideal! This necklace is made by catching a rabbit and then using a ball of wool on it to obtain a Strung rabbit Foot. The Seer's Headband 1 is a reward from completing the Seers' Village Easy Task set. 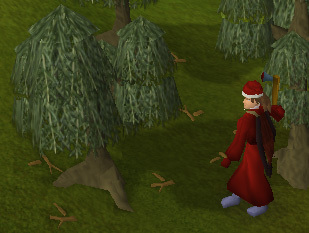 When worn, players will receive an extra set of logs when cutting regular trees. Additionally, when players wear the Seer's Headband 2 or Seer's Headband 3, they will receive ten extra experience when cutting Maple trees. Sometimes while while chopping a tree, a bird's nest might fall out. When searched, you may find seeds ranging from acorns to magic tree seeds. Other rewards include Summoning eggs, which can be put into in incubator and hatched. 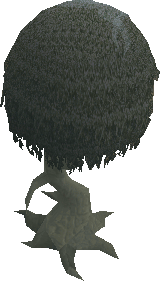 Nests can also be used with a pestle and mortar and turned into a 'crushed birds' nest' which can be used to make a saradomin brew.